(CSMonitor) Marijuana should be treated as a "public health issue, the same way we do with cigarettes or alcohol," said President Obama in a post-election interview with Rolling Stone. In the interview made public this week, the president, who has admitted to smoking marijuana in his younger days, clarified that he is "not somebody who believes that legalization is a panacea." "But," he continued, "I do believe that treating this as a public-health issue, the same way we do with cigarettes or alcohol, is the much smarter way to deal with it." 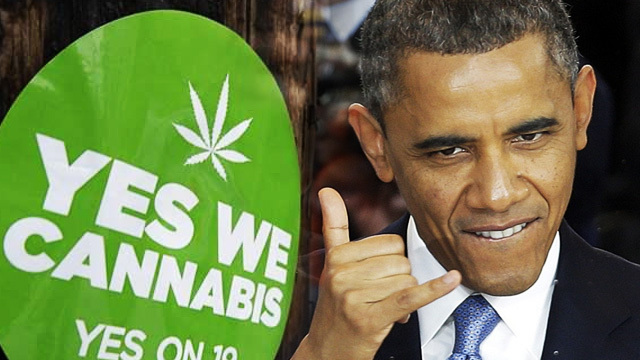 In the Rolling Stone interview, Obama said it was "untenable over the long term" for the Justice Department and Drug Enforcement Administration (DEA) to enforce "a patchwork of laws, where something that's legal in one state could get you a 20-year prison sentence in another." Typically, he explained, drug classifications are changed not by presidential edict, but legislatively or through the DEA. "As you might imagine, the DEA, whose job it is historically to enforce drug laws, is not always going to be on the cutting edge about these issues," he added.